Las Vegas Strip: A stretch of Las Vegas Boulevard South in Las Vegas known for its high concentration of casinos. Red Rock Canyon: National conservation area located to the west of Las Vegas, Nevada. Fremont Street Experience: Entertainment and gaming destination in downtown Las Vegas, Nevada. Lake Mead: Reservoir southwest of Las Vegas, Nevada. High Roller: 550-foot tall Ferris wheel on the Las Vegas Strip in Las Vegas, Nevada. Count's Kustoms: Auto restoration service offering a showroom for public tours, located in Las Vegas, Nevada. Lake Tahoe: Large freshwater lake on the Nevada-California border. Mob Museum: Museum of organized crime and law enforcement, located in Las Vegas, Nevada. Adventuredome: Amusement park at the Circus Circus Casino in Las Vegas, Nevada. Mount Charleston: Mountain peak in Clark County, Las Vegas. Hoover Dam: Dam located southeast of Las Vegas on the border of Nevada and Arizona. Neon Museum: Museum featuring signs from old casinos and other outdoor displays, located in Las Vegas, Nevada. Great Basin National Park: National park in eastern Nevada near the Utah border. Pyramid Lake: Large natural lake northeast of Reno, Nevada. Shark Reef at Mandalay Bay: Aquarium in the Mandalay Bay Resort in Las Vegas, Nevada. Stratosphere Tower: 1,149-foot observation tower in the Stratosphere Casino in Las Vegas, Nevada. Valley of Fire State Park: State park in Moapa Valley, Nevada. Pinball Hall of Fame: Pinball museum in Las Vegas, Nevada. National Automobile Museum: Automobile museum in Reno, Nevada. Botanical Gardens at Bellagio: Botanical garden in the Ballagio in Las Vegas, Nevada. The Grand Canal Shoppes: Shopping mall inside The Venetian and The Palazzo in Las Vegas, Nevada. 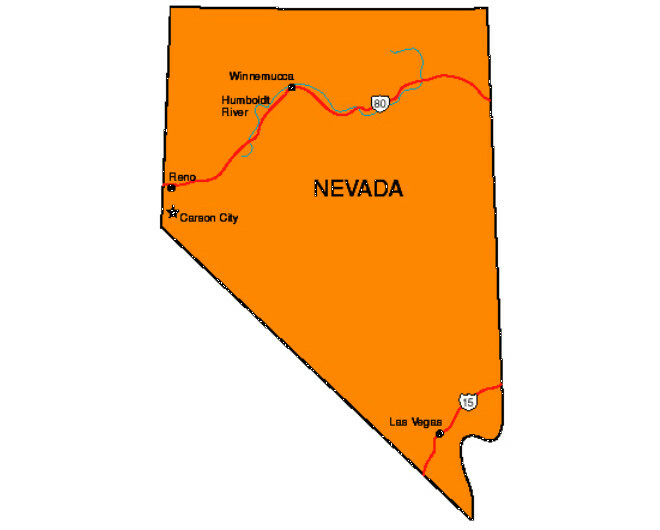 The name Nevada comes from Sierra Nevada, a Spanish term meaning snow-covered mountain range. Las Vegas, Nevada has more hotel rooms than any other city on earth. As of 2016, 10 out of the top 15 biggest hotels in the world are in Las Vegas. Lake Tahoe, located along the border between California and Nevada, is the largest alpine lake in North America. It is the second deepest lake in the United States. Nevada has more hot springs than any other state in the country, with more than 300 occurring naturally. Nevada is the driest state in the nation with an average annual rainfall of 9.5 inches. 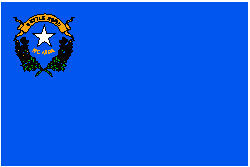 In March 19, 1931, Governor Fred Balzar signed into law Assembly Bill 98, which legalizing gambling in the Nevada. In 1931, the Pair-O-Dice Club was the first casino to open in Nevada. 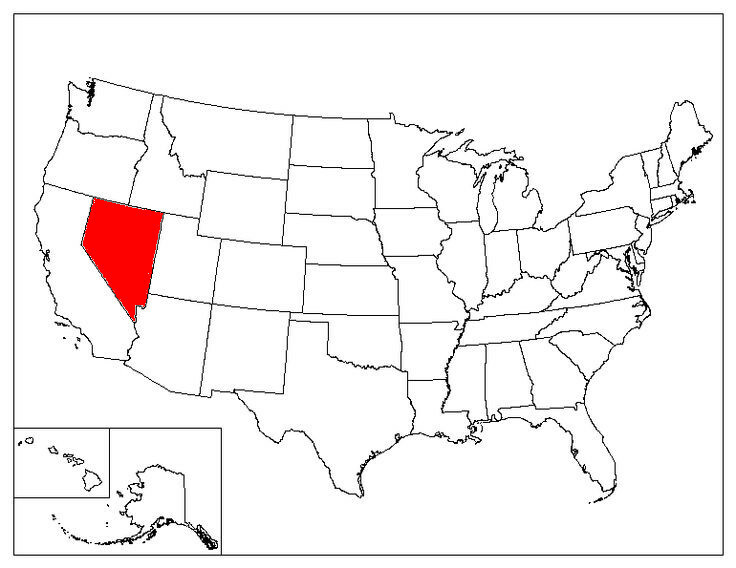 Nevada is the largest gold-producing state in the United States. The longest Morse Code telegram ever sent was the Nevada state constitution. Sent from Carson City to Washington D.C. in 1864, it was sent over two days and cost $4,303.27. This page was last updated on April 02, 2018.